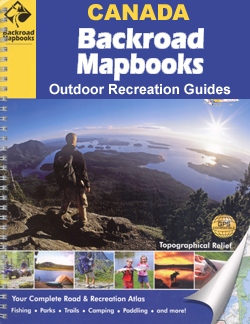 Popular tourist regions of British Columbia, the Rockies and Atlantic Provinces in a series of high quality contoured, GPS compatible atlases from Mussio Ventures, with extensive guides to recreational pursuits including hiking, off-road cycling, quad biking, fishing, etc. Each title is in a spiral-bound, A4 format and contains a detailed atlas section with contours excellently enhanced by altitude coluring and relief shading to provide an almost 3-D representation of the terrain. 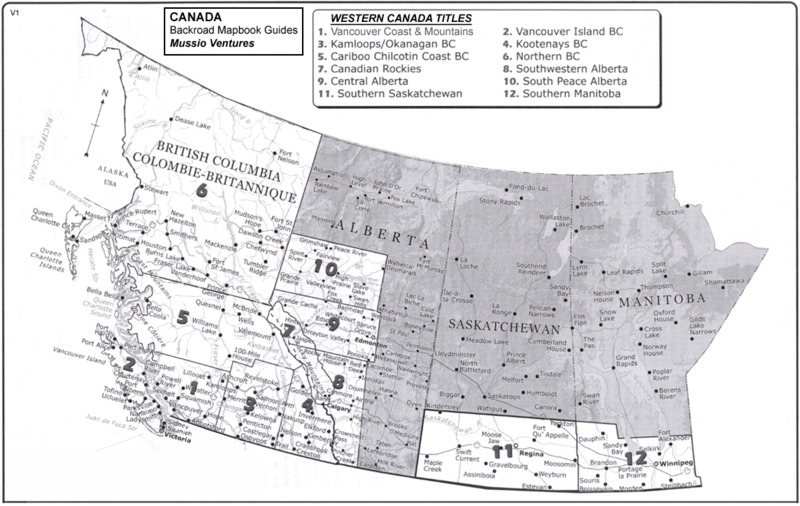 Further colouring indicates provincial or national parks and other conservation areas, First Nation lands and restricted access grounds. 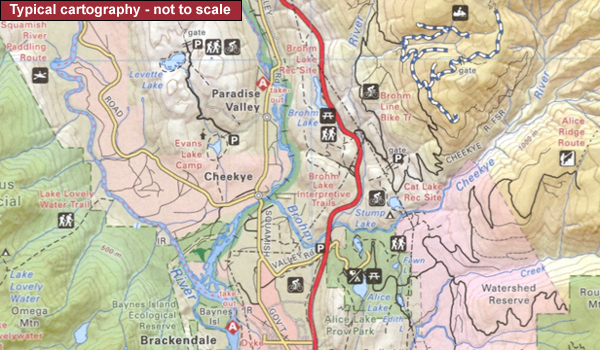 Detailed classification of the road network includes logging roads and 4WD tracks. Where appropriate, railways, local airports or airstrips and ferry connections are included. A wide range of symbols highlights various recreational areas and facilities, campsites and trailer parks, etc. An overprint indicates long-distance hiking paths, quod bike (ATV) routes, snowmobile trails, etc. The atlases are GPS compatible with a UTM grid and latitude/longitude margin ticks. The maps are followed by an extensive guide section providing descriptions of various parks and recreational areas; fishing lakes and rivers; hiking, cycling and quad (ATV) trails; wildlife viewing; winter sports, etc. The index covers both the atlas and the guide section.